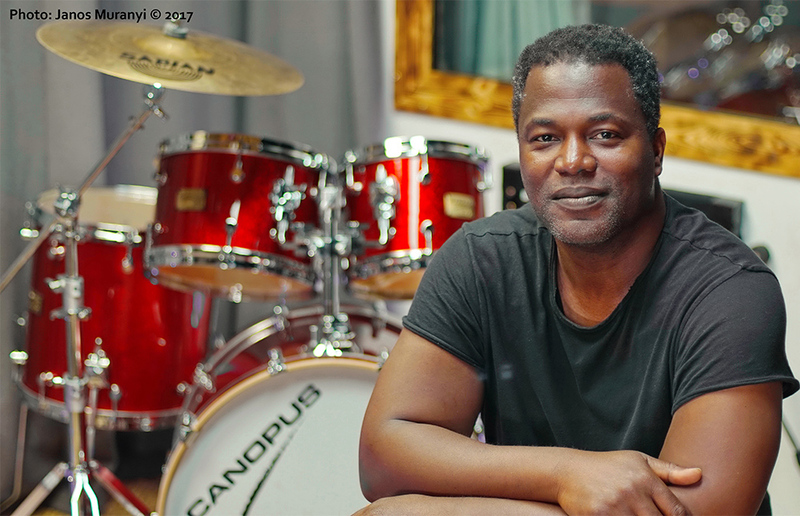 When Jeff Beck accepted an invitation from singer Joss Stone to drive down to the English coastal town of Exeter in Devon to audition Jonathan Joseph for the new band he was putting together, the legendary guitarist did not expect to find an American who subscribed to the Billy Cobham school of fusion drumming living just ‘down the road’ from his own home in East Sussex England. Jonathan Joseph has had a remarkable career, working with some of the greatest musical minds of the modern era. While on tour with Jeff, Jonathan began to consider some of the other artists he grew up listening to and then had an opportunity to work with. One of those artists was Josef Zawinul. Jonathan became a member of the Zawinul Syndicate in 1994 -1995 but prior to Jonathan becoming a member of the Syndicate, Jonathan worked with Steel Drummer and former member of Jaco Pastorius’s Word Of Mouth band, Othello Molineaux. As a member of Othello’s band, Jonathan played on Othello’s album entitled It’s About Time. Jonathan’s performance on this album helped launch the tremendous career he currently enjoys. “ The sound Jaco created represents the sound of South Florida and since I was born on Miami Beach, I have always been very honored to be associated with the sound of his music”. With a view to keeping the spirit found in Jaco’s music and Weather Report’s (WR) catalogue alive, Jonathan has assembled a tremendous group of musicians capable of executing WR’s & Jaco’s collective catalogue, once again bringing life to the soundtrack of many people’s lives all over the world. Assembling the Weather Underground band, Jonathan reached out to longtime friend and fellow Zawinul Syndicate alumni member, guitarist Randy Bernsen, Cuban-born bassist and current member of Gonzalo Rubalcaba’s Volcan group, Armando Gola and current member of Othello Molineaux’s band, keyboardist Abel Pabon. This powerhouse band will rock your world, playing tunes like: Black Market, Cannonball, Bird Land, Night Passage, Continuum, 3 Views of a Secret and many more…… These are concerts you don’t want to miss, as the band takes you in a trip back down memory lane.